Multipurpose concentrate kills HIV-1 (AIDS virus), MRSA, Hepatitis B & C, and other viruses. Kills strep, staph and fungus germs on contact. 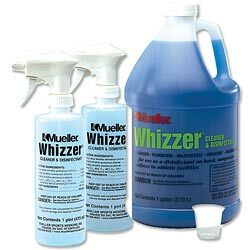 Cleaner, fungicide, mildewstat, virucide and deodorizer - all in one. Comes complete with 2 FREE Pint spray bottles. Economical. 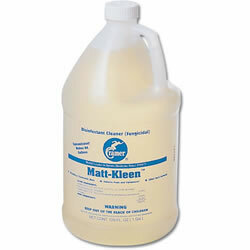 One ounce of concentrate mixed with water makes a gallon of full-strength disinfectant. 128 dilutions per gallon. Fast. 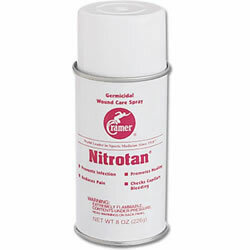 Apply directly to mats, floors, walls, training tables, locker rooms, or personal items. Just wipe dry. All purpose disinfectant cleaner helps stop the spread of skin diseases and infections. Ideal for wrestling and gymnastic mats, training tables and shower floors. Highly concentrated, 2 ounces makes one full gallon. Kills MRSA. Reduces pain, checks capillary bleeding, promotes healing and aids in the prevention of infection in minor wounds and burns. 4 oz. can. Cannot ship via air carrier. 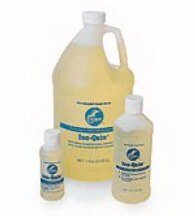 Use for disinfecting whenever soap and water hand washing is not possible. Also apply to cleanse hands between treatments. Dries and disinfects quickly.